Authorities are searching for 29-year-old Eric Holder, an L.A. native whom is said to have “gang ties” in the area. According to a release, Holder walked up to Hussle and two others who were standing in front of the rapper’s business in a strip mall in South Los Angeles around 3:20 p.m. Sunday and opened fire. 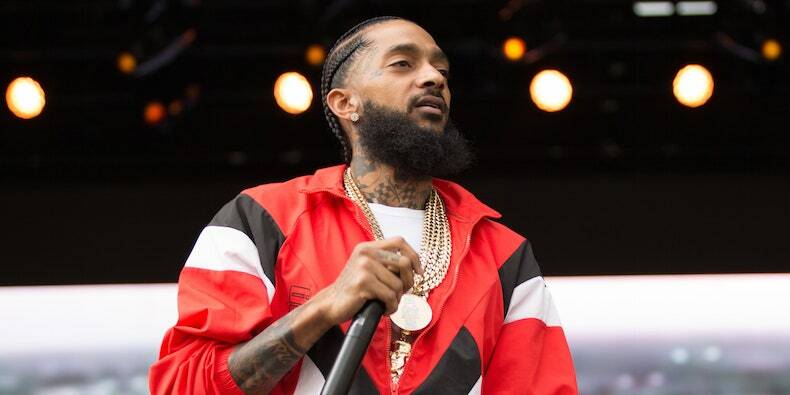 Nipsey, real name Ermias Asghedom, died on the scene while the other two were rushed to a local hospital with serious injuries. The Los Angeles Times cited law enforcement who claim Holder and Hussle were acquaintances of and had been involved in a dispute before the shooting. Holder and an unidentified female accomplice were last observed fleeing the scene in a white 2016 Chevy Cruz that was driven by the unidentified female with a California license plate was reported to be 7RJD742. Authorities are asking for public assistance in locating these two and are advised to contact the proper authorities with any information regarding their whereabouts.